Most business owners try to save money wherever they can. While this is understandable, many cut corners by relying on legal forms they find on the Internet or in big box office supply stores. Others attempt to draft their own legal documents. Although this might save a business owner money in the short-term, it can easily end up costing them thousands in the long-run. What many business owners fail to realize is that commercial lease agreements are far different from residential lease contracts. If you’re a business owner, examining some of the key differences between the commercial and residential arenas can help highlight the importance of working with an experienced real estate attorney to draft your next lease. Whereas most residential leases tend to run for shorter terms – typically one year or less – commercial leases generally include longer terms ranging anywhere from two to 20 years. If the commercial tenant needs to end the agreement early, the financial implications could have a serious impact on the tenant’s business. Generally, commercial tenants enjoy few of the consumer protection rights afforded residential tenants. Conversely, commercial landlords want to lease their property to tenants who will draw in business, stay profitable, and remain a paying tenant for a long time. Because locating and accommodating a new commercial tenant is usually an expensive endeavor, commercial landlords are typically more willing to negotiate with a commercial tenant. Whereas commercial tenants lack consumer protection, they benefit from greater flexibility and leverage. Drive through any large town and you will see an intersection with two fast food restaurants angled across the street from each other. Known as “clustering”, this is a marketing approach that works well for some businesses and very poorly for others. For example, if you run a small hardware store, you probably don’t want to be situated next to a national home improvement warehouse chain. A use provision within your commercial lease can address this type of adjoining occupancy. In the residential context, the landlord’s responsibilities regarding maintenance and repairs are fairly straightforward. Commercial leases are more complex and require carefully-worded language regarding a tenant’s and landlord’s obligations to repair and maintain a rental unit. For example, in a build-out situation where a tenant has modified a unit to accommodate its business, the tenant may be responsible for repairing broken shelving or signage. A commercial lease should address these items in detail. Frequently, commercial landlords ask a tenant to provide a personal guaranty concurrent when signing a lease. Tenants who incorporated to insulate themselves from creditors expose themselves to personal liability by agreeing to this arrangement. In some cases, a landlord breaches a commercial lease. This can throw a serious curveball at any business. In the event of a breach, the tenant may have to quickly locate a new rental unit, absorb the cost of moving, and fund the cost of advertising the move. Commercial tenants can build protection against landlord breach into their lease agreements by requiring their landlord to mitigate their damages. As a business owner, you want to protect what you have worked so hard to build. 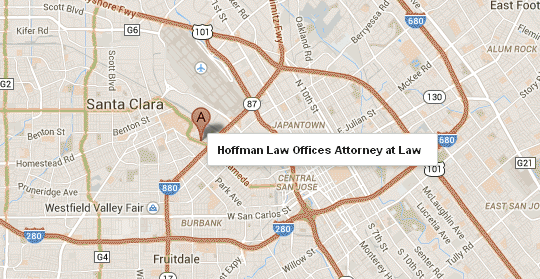 Call the legal team at Hoffman Law Group today at (408) 241-9620 to get started drafting effective real estate documents that protect and further your business’s unique needs and goals.